One of the pleasant side-effects of my ongoing purging efforts in the house is finding books we own but had forgotten about. 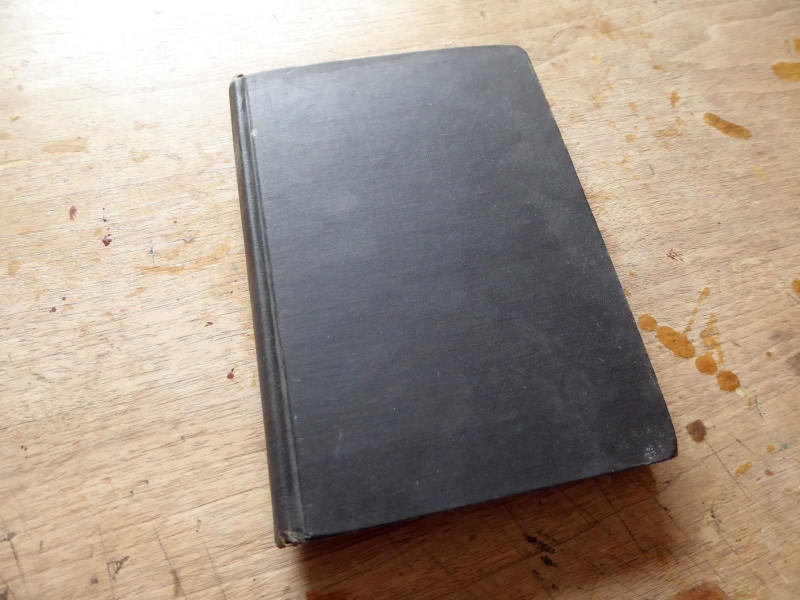 Such is the case with this thin anonymous black album. 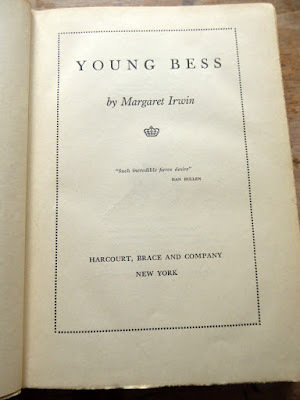 Turns out to be a book called "Young Bess," about Queen Elizabeth I's younger years, no doubt purchased at some long-ago library sale. 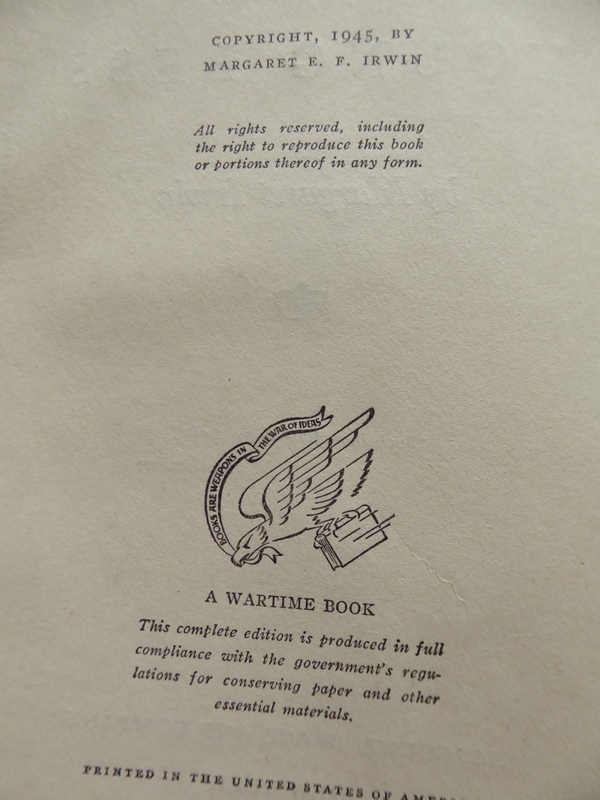 It was printed in 1945 and, as the inside page gravely informs me, it was printed "in full compliance with the government's regulations for conserving paper and other essential materials." Regardless, it's turning into a fascinating read. I've always been enamored of English Medieval and Renaissance history anyway, so this rainy day finds me holed up with a good book, a nice surprise. I was looking for a certain book for my husband to read that I hadn't unpacked from our last move, and came across a White House Cookbook. I got it from my grandmother's estate when she passed. I looked at the publish date, and its 1906. I was shocked to find I had a book over 110 years old. 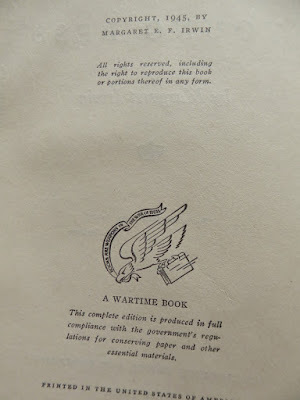 Some of the menu selections were a very interesting read. sweet find! Random question s for you. Do you meal plan? If so, how? Weekly? Bi- weekly? Monthly? It's something I'm horrible at and something I want to get better at. Enjoy your book. I used to, but not so much anymore. We tend to keep favorites stocked and everyone pretty much cooks for him or herself. Old books are the best. I love old books. The subject of this book revolves around a rather sad time in English history... where the king had an inflated self opinion and allowed even his close friends (e.g. Thomas More)were killed because they wouldn't approve of his actions. Enjoy the read. The government saving paper. Thanks, I needed a good laugh. If you ever get tired of all those books hanging around, you can sell them on Amazon....no charge to list them, and until they sell, they are still yours to read.